One of this weeks most awaited comics is He-Man/Thundercats, it’s been a good 30 years in the works but these titans of cartoons are about to merge into one epic six issue mini series. It’s the epic crossover event 30 years in the making! 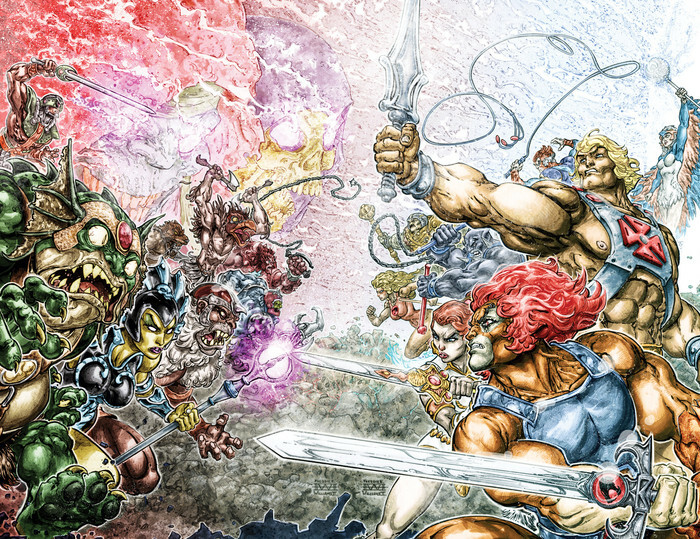 He-Man and the Masters of the Universe team up with the ThunderCats to make comic book and pop culture history! Scheduled to debut in October and published by DC Entertainment on behalf of Warner Bros. Consumer Products, this monthly miniseries will embroil heroes and villains—Masters, Mutants and ThunderCats—in a mind-blowing six-part comic book saga!